At Happy Pets Veterinary Center, we take pride in delivering personalized, compassionate care to our patients and their guardians in Valencia and the surrounding areas. Our team strives to provide a comfortable environment for our patients and clients and we want everyone, either two legged or four, to feel welcome as soon as they enter our veterinary clinic. This all starts with a warm hello for you and a yummy treat for your pet. Our hospital opened its doors in 2007 and offers a wide range of medical services and surgeries for dogs and cats. We’re located at 27550 Newhall Ranch Road in Valencia, and we have ample space for parking within a safe, low traffic area for your pet. Veterinary services delivered with courtesy and respect! As a new client of HAPPY PETS, you can expect our full attention to your pet’s needs. One of our veterinarians will then examine your pet, ask you further questions and may recommend diagnostic tests if needed. Once the tests have been run, which can usually be done in the practice, your doctor will discuss a possible diagnosis and treatment plan if warranted. Our veterinary technician will likely come back to wrap things up and will provide you with helpful pet care information and answer any wellness and care questions you may have. Our front desk staff will process your payment and schedule any needed follow-up appointments. Our Veterinarians and the entire team strives to provide a comfortable environment for our patients and clients and we want everyone, either two legged or four, to feel welcome as soon as they enter our veterinary clinic. 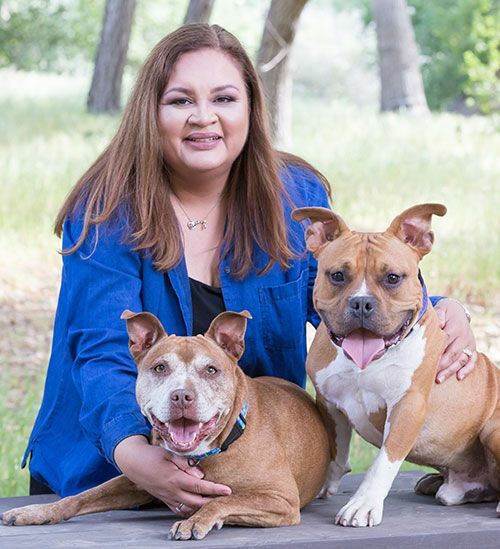 A native Californian (with the exception of the four years she lived in Indiana to get her medical doctorate at Purdue University), Dr. Evelyn Vega has been practicing veterinary medicine in the Santa Clarita Valley since July 2000. In addition to Purdue, Dr. Vega has also attended Loyola Marymount University and Cal State Los Angeles, where she completed her Masters in Biology. Prior to starting her own practice, Dr. Vega has worked with many animal hospitals in the area, including several years at VIP Veterinary. 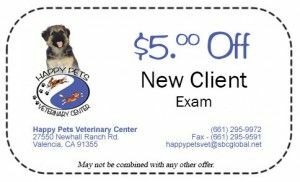 She has also run her own in-home mobile veterinary service (Happy Pets Mobile Veterinary), performing veterinary house calls from Santa Clarita to Palmdale for over five years. In a reader’s poll, Santa Clarita Living Magazine named Dr. Vega Best Veterinarian. She is a past member of the local Soroptimist charity group and a member of N.R.G. (Network Referral Group of Santa Clarita) since 2001. She is also a member of various veterinary organizations. Dr. Vega lives in Saugus with her husband John, their two dogs Winston Churchill and Coco Butter, their two cats Madame Leota and Cali, a rabbit named Aldo and an assortment of pond turtles and fish. 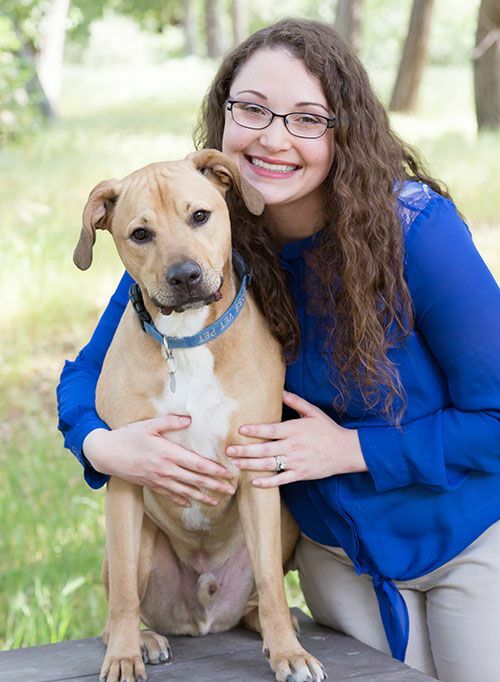 Dr. Brianna Wilson (Dr. Bri) started at Happy Pets back in 2007 as a volunteer during her senior year at West Ranch. Over many years she worked her way through every position while attending COC for an associate’s degree. She completed her Bachelor’s Degree in Animal Biology at UC Davis before attending Ross University for Veterinary Medicine in the Caribbean. This is where she found romance with now-husband Christopher (a carpenter from South Carolina). She completed her clinical year (and a half) at The Ohio State University while also giving birth to her son Calvin. After graduating in January 2018, she returned home to the side of Dr. Evelyn Vega, her mentor for many years and once again her boss. Her son Calvin is currently 1½ years old. Dr. Bri also had a 12-year-old miniature Schnauzer named Vuitton, a 3-year-old coconut retriever named Wyatt and three 3-year-old kitties name Sora, Riku and Kairi. Dr. Bri’s current veterinary interests include animal behavior medicine as well as small animal dentistry. In the small free time that Calvin is sleeping, Dr. Bri enjoys reading and video games. Otherwise, she and Chris get most of their fun and exercise chasing Calvin around the house, playing in the backyard, going to the park or just getting out of the house as a family.